The application of S.C. Corp. and Steve Hecker to expand the restaurant operation located at 129 Elk Avenue, Block 20, lots 31-32 to include outdoor seating in the Bl zone. – Conditional use to expand a conditional use for outdoor seating. – Architectural approval is required. 300,000 Gallon Water Storage Tank to be located on Block 29, Lot 12. A public hearing will be conducted for informing citizens and soliciting public input, written or oral, regarding the Crested Butte South Metropolitan District 300,000 Gallon Water Storage Tank – Preliminary Engineering Report (PER) and Environmental Assessment (EA) if necessary. The PER is a 20-year planning study conducted on the District’s water system to meet existing water system deficiencies, serve potable water to 7 existing homes that are on individual wells and meet future growth needs and requirements of the Colorado Primary Drinking Water Regulations and fire flow. The EA if required, is an assessment of the environmental impacts the new water tank will have on Block 29, Lot 12 , Crested Butte South, Fourth Filing. The reports are being submitted to the Colorado Department of Health and Environment (CDPHE) to qualify the District for a State Revolving Loan Fund loan. The PER evaluated the adequacy of the new 300,000 gallon water tank to serve potable water to existing and future customers and provide fire flow to the 4th & 5th pressure zones of Crested Butte South Metropolitan District. The PER evaluated the cost of the recommended improvements and the additional operations costs. These costs will be covered by the increase in fees implemented on January 1, 2008 and the proposed increase in Availability of Service fees that will be implemented if the debt is incurred and the increase is approved by the Board of Directors. Copies of the PER are available for the public review prior to the Public Hearing at 280 Cement Creek Road, Crested Butte South, which is the Crested Butte South Metropolitan District’s office and shop facility. 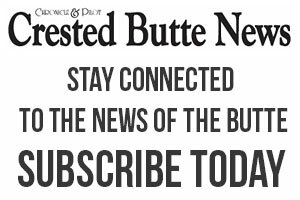 The contact person for the Crested Butte South Metropolitan District is District Manager, Jack Dietrich (970)-349-5480. The application of Cindy Ingalls, David Moore and Danica Ayraud to operate a restrictive food service establishment in association with a retail/commercial establishment in the commercial building located at 414 Elk Avenue, Block 26, Lots 9-10 in the B3 zone. Published in the Crested Butte News. Issues of April 17 and 24, 2009. #041714. The application of Dan Murphy to create a residential use in the Bullion King Building and make exterior window and door changes to the commercial building located at 429 6th Street, Block 25, Lots 25-26 and parts of lots 30-31 in the B2 zone. – Conditional use for a residential unit in the B2 zone is required. The Skyland Community Association will hold a public hearing on the 13th day of May, 2009 at 3:00 p.m. in its office at 350 Country Club Drive, Crested Butte, Colorado 81224. The purpose of the public hearing is to receive input on an Amendment to Special Covenants and Affordable Housing Deed Restrictions of Skyland River Neighborhood pursuant to Section 6.34 of the Special Covenants of Skyland River Neighborhood recorded January 3, 1997 as Reception No. 473134 of the Gunnison County, Colorado records. Interested persons may appear in person or mail written comments to Skyland Community Association, 350 Country Club Drive, Crested Butte, Colorado 81224. Signed this 6th day of April, 2009. Discussion of the RE1J School District site plan associated with the expansion of the K-12 school located at 805 9th Street in the P zone. HEARING DATE, TIME AND LOCATION: The Gunnison County Board of Commissioners and the Planning Commission on May 15, 2009 at 9:00 a.m. in the Planning Commission Meeting Room, 2nd Floor, Blackstock Government Center, 221 N. Wisconsin, Gunnison, Colorado, to hear public comment concerning a land use change permit application for the construction of a private development road for access to nine 35-acre tracts. APPLICANT: The applicant is Bear Ranch LLC. PARCEL LOCATION: The parcel on which the land use change is proposed is located near the intersection of County Road 12 (Kebler Pass Rd) and Highway 133, the entrance to the private development road is approximately 3.5 miles from this intersection. The parcel is in Sections 34, Township 12 South, Range 89 West, and Sections 1, 2, 3, 10 and 11, Township 13 South, Range 89 West, 6th p.m.
PROPOSAL: The applicant proposes to construct a private development road that will access nine 35-acre tracts. The private road entrance is approximately 3.5 miles from the intersection of County Road 12 (Kebler Pass Rd) and Highway 133. PUBLIC PARTICIPATION: The public is invited to submit verbal or written comments at the hearing, or to submit written comments by FAX (970) 641-8585, or by letter (to the County Planning Department, 221 N. Wisconsin, Suite D, Gunnison, CO 81230), so long as they are received by 5 p.m. the afternoon before the date of the meeting so that they may be submitted for the public record during the hearing. A copy of the application is available in the County Planning Department, 221 N. Wisconsin, Suite D, Gunnison, CO; additional information may be obtained by calling the Planning Department (970) 641-0360. ADA ACCOMMODATIONS: Anyone needing special accommodations as determined by the American Disabilities Act may contact the Planning Department prior to the day of the hearing. The application of The Town of Crested Butte in conjunction with the RE1J School District to relocate seven buildings east of the K-12 school located at 805 9th Street in the P zone to accommodate the relocation of the Tommy V. ball field.